Anti-loop rubber which is troublesome for your opponentALLIGATOR Anti-loop rubber follows in the footsteps of the successful long pimpled rubbers PIRANJA and ALLIGATOR.The taut anti-spin top surface rubber and the hard sponge ensure that the ball is returned with speed, therefore putting the opponent under pressure. The player is able to use effective variations and can drop the ball short with good touch.The opponent's shots can be returned short or long with this effective weapon. 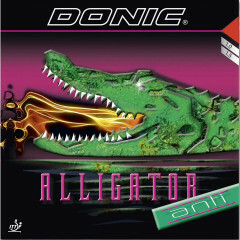 Attack and counter-attack are easily possible with DONIC Anti-loop rubber.DONIC ALLIGATOR ANTI - Opponents beware of its bite! 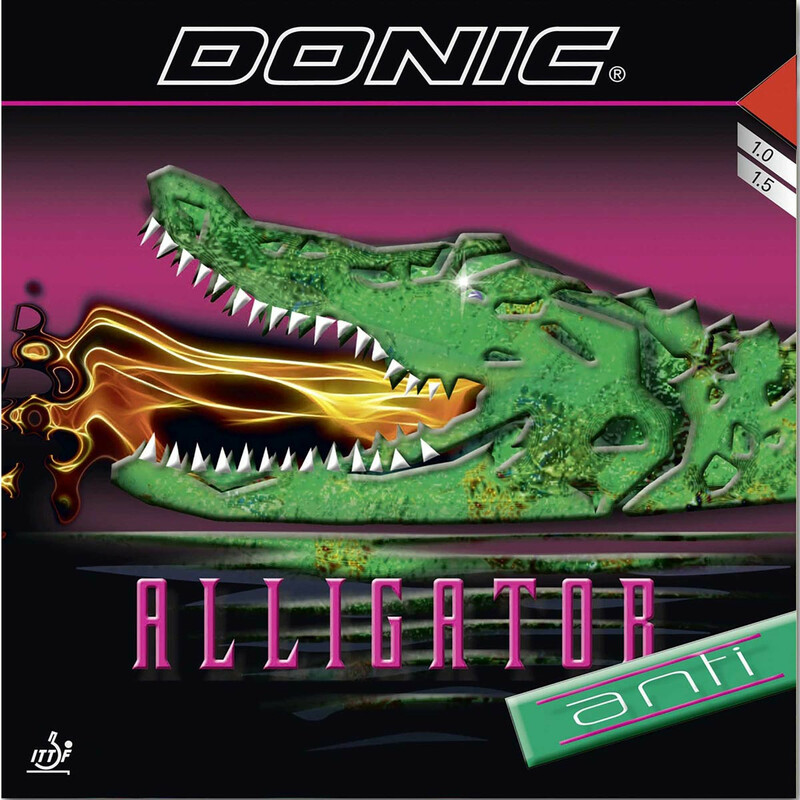 Donic Rubber Alligator Anti is beeing added to cart.